Суйхуй с теренсом и рошидом поведывоюнт отчего ХМ лудшая нигерокоманда в жизне о так же оповещаюнт чего обжедать от ХМО. Цетируем. CyHi: G.O.O.D. Music is the best team out there. Lyrically, bar-for-bar, song-for-song, concept-for-concept, we are the world, we can take it to a cipher, we can take it on the record, it don't matter 'cause we the best. It's an amazing project; this isn't something we just threw together. It ain't nothing where a whole bunch of beats were emailed over and different things of that nature. These are ideas that we actually creatively came up with and we're exercising them right now. Pusha T: We've been working on numerous verses, everybody. Now it's time for 'Ye to just maestro it all together. 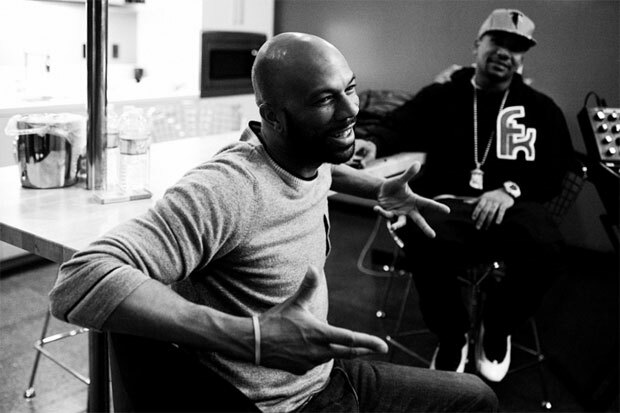 Common: G.O.O.D. Music is a movement and it's a movement of music and culture. And we like fly stuff.